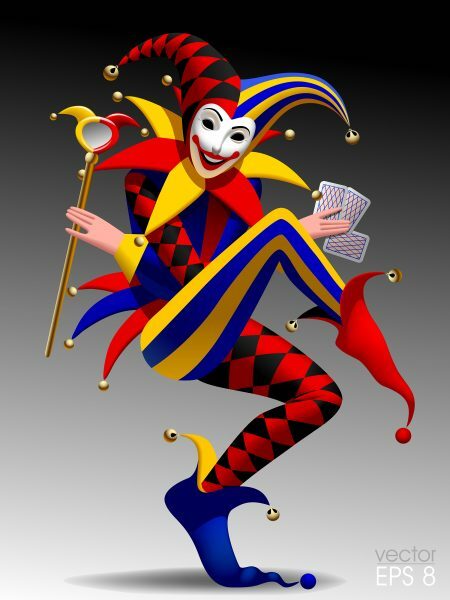 The Jester is one of twelve archetypes which you can use to build your personal brand. If you are new to the subject, you can download a brief explanation from the top right-hand corner of this blog. Archetypes are explained in detail in the second edition of Brand You, which will be published on August 24. It’s best to evoke one main archetype consistently in your work. By evoke, I mean that you call it forth, in your own mind and in the minds of other people. You don’t have to put yourself in a box. You can also evoke other archetypes – selectively – provided they come naturally to you and fit the task in hand. In this context, The Jester can be very useful for a wide range of people, including consultants, advisors, electricians, therapists, personal assistants, board directors, coaches, mentors, psychologists and doctors. The Jester has a good time and enjoys the moment, making people laugh. However, he or she often has a serious message, such as pointing out that the emperor (who frequently evokes the Ruler archetype) has no clothes. The Jester’s power resides in getting your message across without having your head cut off. If you try to get someone to change course without using humour, they often resist. You can easily find yourself pitting your ego against the person’s ego. If you make your point in a light-hearted way, people are more likely to take it on board. We can learn a lot from professional jesters such as Sacha Baron-Cohen, Michael Moore and Morgan Spurlock. They expose the dangers of prejudice, lax gun laws and junk food while making us laugh. They put their messages across in a much more memorable way than they could simply by stating their argument without humour. One of their most powerful tools is irony. Sometimes we have to be brutally direct, like the doctor who told an argumentative patient, “You can either die here or come with me to the hospital”.